Do You See What I See? A Scientist's Journey Into 3-D Neurobiologist Susan R. Barry was born cross-eyed, and for most of her life, she saw the world in two dimensions, instead of three. But in her late 40s, Barry retrained her brain and her eyes to perceive the world in a new way. She explains how her vision -- and her whole sense of self -- changed in her memoir, Fixing My Gaze. When Sue Barry used to see snow falling, it would appear as if the snow were falling in one flat sheet in front of her. "I did not feel like I was part of the snowfall but I was looking in on the snowfall," she tells Fresh Air's Terry Gross. Barry, a neurobiologist, had been cross-eyed since early infancy. Though she had operations as a young child to correct her eyes' appearance, they still sent conflicting messages to her brain. As a result, she viewed the world in a flat plane and had no stereoscopic 3-D vision. In her mid-40s, Barry met the neurologist Oliver Sacks at a dinner party. She told him that she didn't think she was missing much by not seeing the world in 3-D. 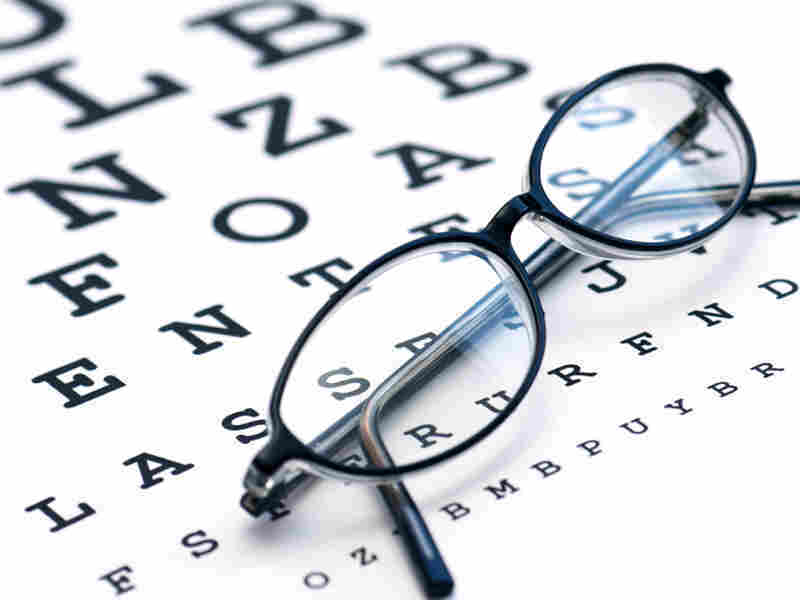 But several years later, after experiencing several side effects from her vision problems, Barry decided to visit a developmental optometrist, who helped her relearn how to view the world stereoscopically. The result, explains Barry, was breathtaking. For the first time in her life, she was able to see snow falling in the distance in front of her, cascading leaves on tree branches and the shapes of flowers in a vase. Barry's memoir, Fixing My Gaze, details the way her vision and her way of perceiving the world changed following her intensive therapy sessions. She says that she still stops and enjoys the new way the world looks to her. "The sense of immersion in a 3-D world is very dramatic and very different from the way that I used to see," she says. " "Space was very contracted and compacted. So if I looked at a tree, the leaves or the branches would appear to overlap one in front of another. But I didn't actually see the pockets of space between the actual branches. So the world was actually smaller and more contracted before my vision changed." "The key to stereoscopic vision is the two eyes have to be aimed at the same place in space at the same time. When that happens, the brain can integrate the information coming from the two eyes. I was cross-eyed since the very first months of life -- which means that if I were to look at you, Terry, I would be looking at you with one eye, and the other eye was turned in. And so the two eyes were not aimed at the same place in space at the same time and the brain could then not integrate the information from the two eyes." "I went for vision therapy -- not to gain stereo vision. I am a neurobiology professor; I taught for years in the classroom about the concept of the critical period -- that stereo vision had to develop in early life or it was not possible to gain it in adulthood. 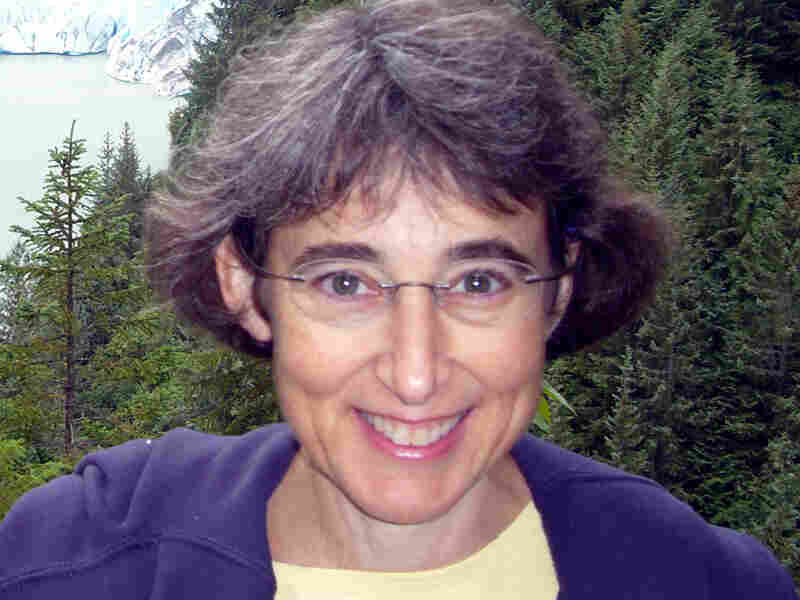 Susan Barry teaches neurobiology at Mount Holyoke College. "When I went to see a developmental optometrist, what my major complaint was ... when I looked in the distance, everything seemed to jitter. I couldn't drive and read road signs at the same time. Even in the classroom, I wouldn't look at students in the back of the class because to look, especially in a large classroom, took a great deal of effort. Even though the vision in my two eyes with glasses was 20/20. Because of the conflict between the two eyes, it was difficult to see in the distance. ... So my major goal was to find a way to see more comfortably ... I did not expect that I would be able to gain stereo vision. I was quite convinced of the opposite: that stereo vision was well beyond me." "I sometimes find myself just admiring the pockets of space between the different branches in a tree and walking and immersing myself in those pockets of space. It is just beautiful. It is a beautiful sensation." I was twenty years old and a college student before I learned that I did not see the way other people did. This surprising news came to me as I listened to a lecture on vision in my college neurobiology class. On that gray November morning, I felt sleepy and sluggish, but something my professor said jolted me out of my inattentive state. He was describing the development of the visual system, highlighting experiments done on walleyed and cross-eyed kittens. Cats, like people, have two forward-facing eyes that they move together in coordinated ways. But the kittens in these studies had strabismus, or misaligned eyes. My professor mentioned that vision in these kittens had not developed normally. They probably couldn't see in 3D. In fact, many scientists and doctors assumed that the cats would never acquire stereovision, even if their eyes were later straightened, because this ability could develop only during a "critical period" in early life. What was thought to be true for cats was also believed to be true for people. I was floored. 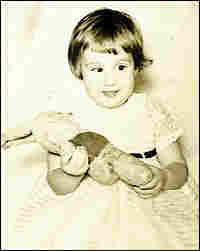 My eyes had crossed when I was about three months old. When I looked at an object with my left eye, my right eye turned in, and when I looked with my right eye, my left eye moved noseward. But I had three eye-muscle surgeries at ages two, three, and seven, and these operations had aligned my eyes so that my eyes looked normal almost all the time. Surely, I saw normally too. Throughout childhood, I had 20/20 acuity with each eye and assumed that I had perfect vision. Yet, I had just learned that people like me were missing a fundamental way of seeing. Fully alert now, I listened carefully to the professor's explanation. We have two eyes, he said, but only one view of the world. Since our eyes are separated on our face by our nose, they see from a slightly different perspective. It is in the brain that the images from the two eyes merge into one. For most people, this happens effortlessly. Both eyes are aimed at the same point in space, and the information from each is combined in the brain. The result is a sharply outlined, detailed, and depth-filled view of the world. My professor added that a strabismic (or person with misaligned eyes) is not so lucky. Since a strabismic's eyes are not aimed at the same point in space, the difference between the left-and right-eye views is too great for the brain to combine the images into a single picture. The strabismic is confronted with a serious perceptual problem: she must somehow create a single, coherent worldview from conflicting input from the two eyes. To solve this problem, many strabismics suppress the information from one eye and look through the other. Some always use the same eye, while others continually switch between the two eyes, but in either case, they may never see normally through the two eyes together. As a result, most strabismics have reduced or absent stereovision. The professor concluded the lecture by saying that many strabismics don't see in 3D. They're virtually stereoblind. Stereoblind? Was I stereoblind? I looked around. The classroom didn't seem entirely flat to me. I knew that the student sitting in front of me was located between me and the blackboard because the student blocked my view of the blackboard. When I looked outside the classroom window, I knew which trees were located further away because they looked smaller than the closer ones. The footpath outside the window appeared to narrow as it extended out into the distance. Through cues like these, I could judge depth and distance. I knew the world was in 3D. Yet, my professor implied that there was another, different way to see space and depth. He called this way of seeing stereopsis. I couldn't imagine what he was talking about. After the lecture, I went directly to the college library and struggled through the scientific papers on vision. I spent the rest of the semester studying the subject and wrote my term paper on changes to the visual system of cats that started out life with misaligned eyes. I learned that the brain processes vision in a region in the back of the cerebral cortex called the visual cortex. Neurons from the retina in the back of the eye communicate over several synaptic connections with neurons in the visual cortex, and these cortical neurons are either "monocular" or "binocular." I learned that monocular neurons respond with nerve impulses to light stimuli coming from only the right or left eye, while binocular neurons respond to input from either eye. The majority of neurons in the visual cortex are binocular. However, strabismic infants have neurons that respond to the right or the left eye, but not both. The loss of binocular neurons results in a loss of normal binocular vision and stereopsis. As I stayed up late reading through all these papers, I realized that I too might have a "monocular brain." Most of the neurons in my visual cortex probably responded to input from either my right or left eye, but not both. Although I no longer looked grossly cross-eyed as I had as a child, my eyes still wandered out of alignment on occasion, especially when I was tired. So, I always avoided looking people directly in the eye. Now I suspected that I was not only a little cross-eyed but also stereoblind. On my next trip to the eye doctor for a routine eye exam, I asked about stereovision. The doctor was surprised by my concern and interest but got out his stereo tests. I flunked them all. He shrugged his shoulders and explained that I did not fuse the images provided by my two eyes. I saw the input from only one eye at a time and switched rapidly between them. "Don't worry," he told me. "Stereopsis is just a little fine tuning for the visual system." Then, he added, "You don't need stereovision because you don't have stereovision," a statement whose logic escapes me to this day. But was stereopsis just a little fine-tuning for the visual system, or was it an important component of everyday seeing? 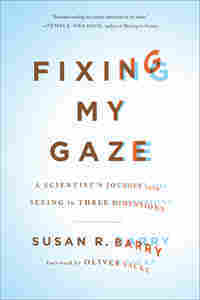 From the book Fixing My Gaze: A Scientist's Journey Into Seeing in Three Dimensions, by Susan R. Barry. Excerpted by arrangement with Basic Books, a member of the Perseus Books Group. Copyright 2009.